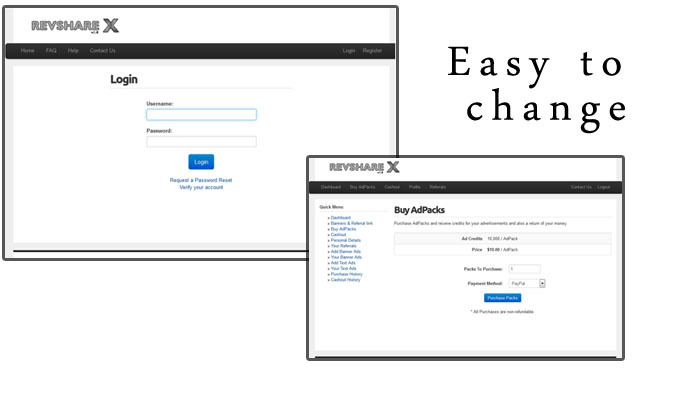 RevshareX is an unique ad revenue share script where you can sell advertisement across your website and share the total revenue with members that purchase advertisements. The script is packed with almost everything required to start your own ad revenue share script. You can also request additional features and if there are enough clients requesting that feature	it will be added as soon as possible by our coding team. - Now with every licence you buy you also get a standalone version of BTC Revenue share script that only use BTC as payment processing and commissions. You can choose witch one you want to use bitcoin version or multiple processors.